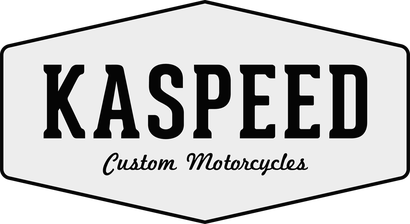 Fitting the Bodywork and New Components - Kaspeed Custom Motorcycles | Cafe Racer. Scrambler. Brat. great to have you back for part three of this build story. 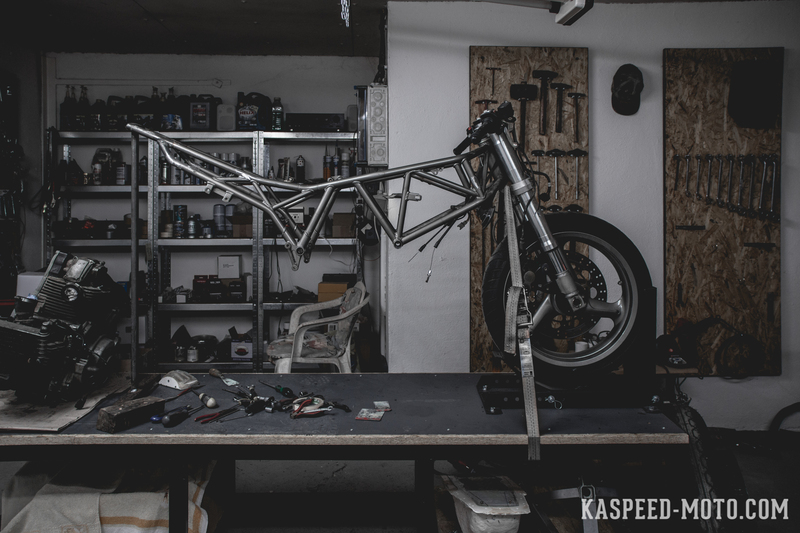 This time we work on adapting the front fairing and also fitting the single seat we built last time. Besides that, work also began on the electronics and wiring of our Ducati custom bike. 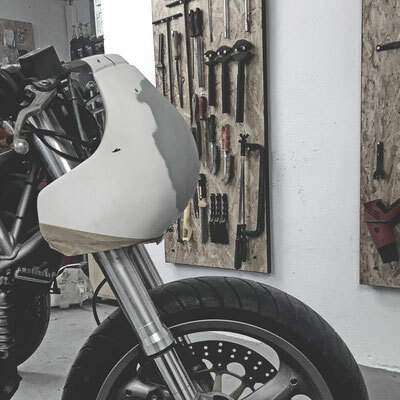 To incorporate the 'Modern Classic' style on all ends of the bike, we found a distinct front fairing with Moto Guzzi Le Mans resemblance, that was shaped to fit right in. 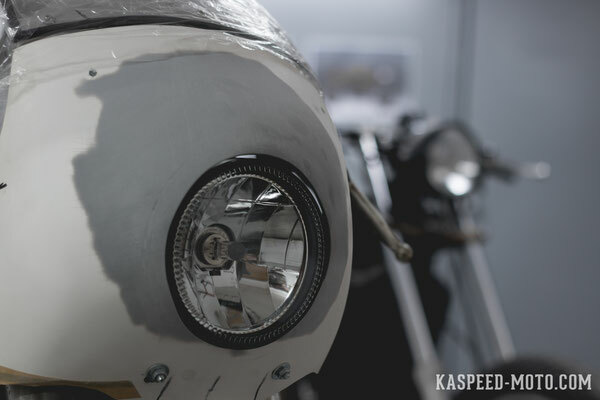 It was then adopted to a smaller headlight diameter, trimmed to our liking and finally mounted. In the middle of the bike, we cleaned the gas tank from the pad to add the needed flow. 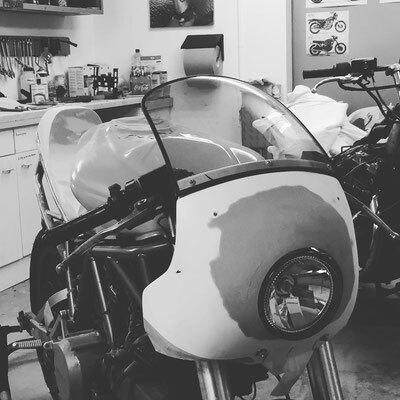 For the rear end, the next task was to mount the hand built seat cowl, in order to tie it all together and create one seamless connection between the bodywork. So after extracting the cowl from it's mold and trimming off any excess material the next step was mounting it to the bike and welding in support bars. We wanted to reuse the original seat lock to retain the ease of use and comfort. 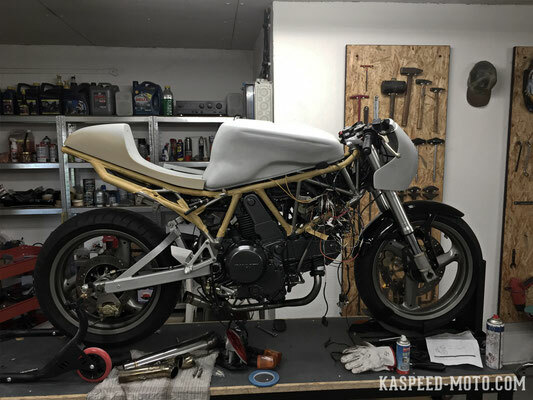 So we cut it up and mounted the corresponding parts into the cafe racer seat and onto the rear frame. 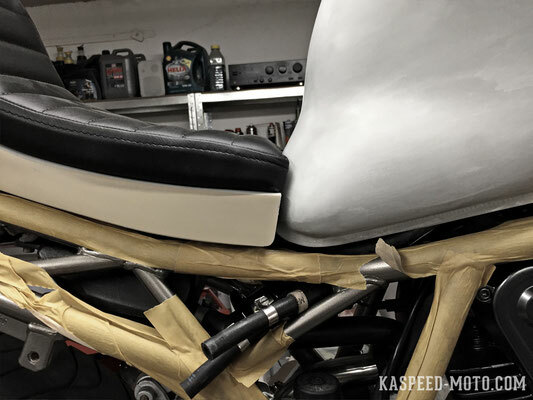 With a snug fit and lining up perfectly to the gas tank, we added the upholstered single seat as a last step. 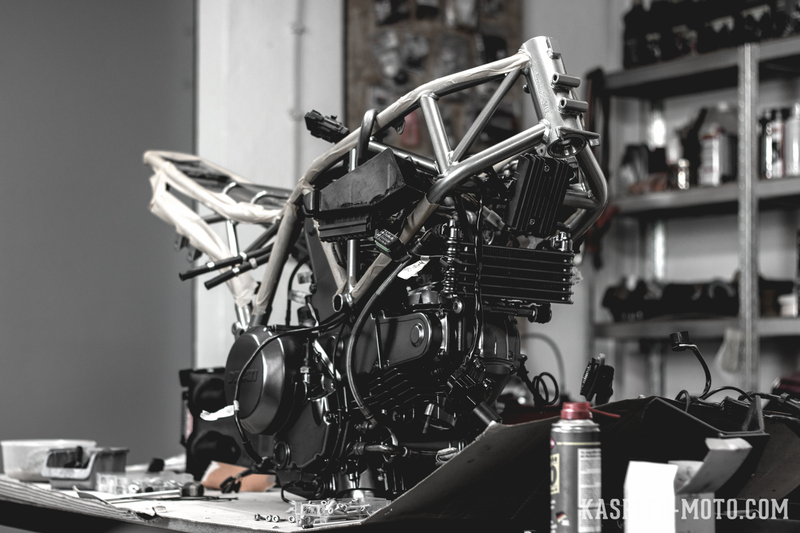 With the freshly painted frame and engine we then started pre-assembly and wiring. 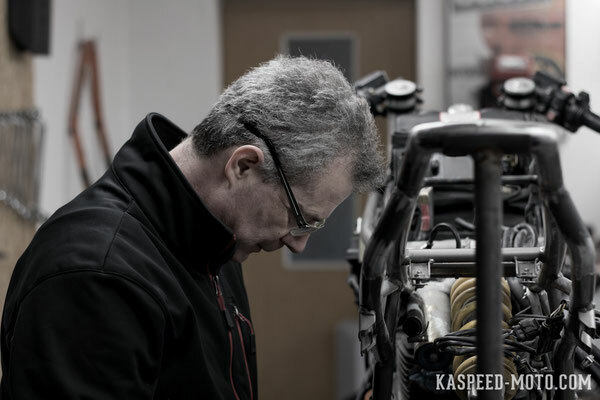 That includes the chassis as well as installation of the new instruments, parts and components. In this process a headlight with LED parking light ring was mounted to give the front end the modern touch, we were aiming for. Two modern retro gauges from Daytona were installed and Motogadget Motosign Mini motorbike warning lights in black were integrated into the upper triple tree via CNC machining. 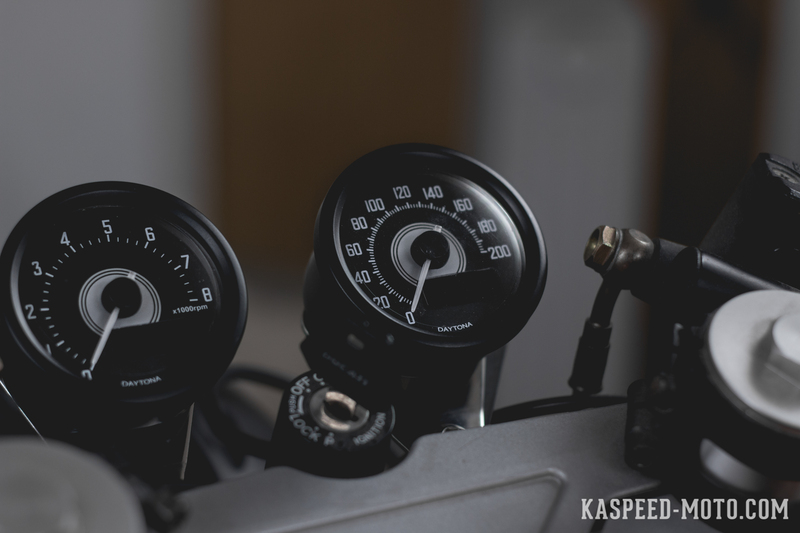 In addition, the bike got LSL levers for the Brembo brakes and Motogadget bar-end indicators. Thank you for your interest, I hope you enjoyed the insights! Next week in Part 4 we hit the home stretch, adding color and finalizing everything before the big reveal event @ Glemseck 101.